All Wenden homes currently listed for sale in Wenden as of 04/25/2019 are shown below. You can change the search criteria at any time by pressing the 'Change Search' button below. If you have any questions or you would like more information about any Wenden homes for sale or other Wenden real estate, please contact us and one of our knowledgeable Wenden REALTORS® would be pleased to assist you. 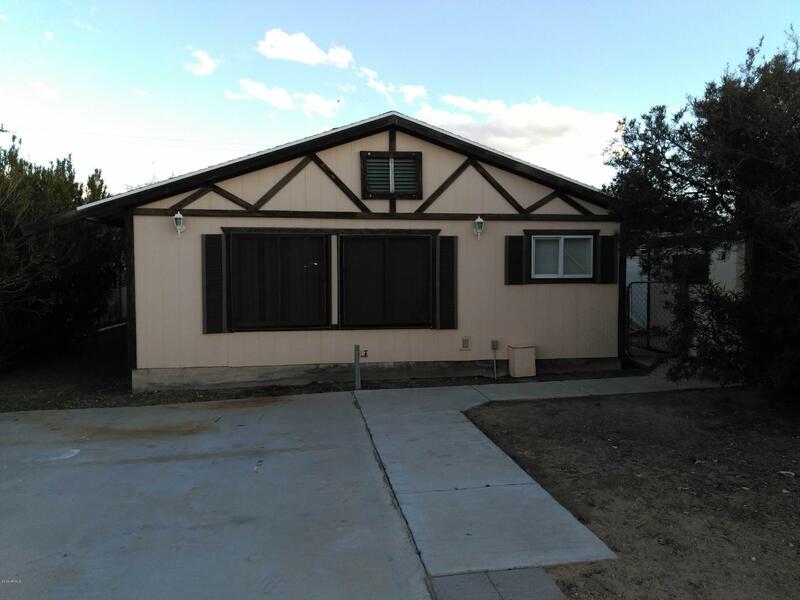 "A great opportunity to own a mobile home with detached garage and full fenced! RV hook up. Off paved roads. Area has golfing, fishing at Lake Alamo, small private air park nearby. Private water co and septic. The home is set up for 2 beds and 3 baths, or 1 bed with 2 living rooms. It has a very unique floor plan and could be for 2 families! Schedule a private showing now! Partially Furnished, washer dryer and refridge all convey no value."